Our previous article compared agile/scrum with lean/kaizen and revealed several similar fundamentals that helped make each methodology easier to understand. Since the objective of lean and agile is waste reduction, we also want to identify and eliminate various forms of waste. Our previous article covered the benefits of comparing the DMAIC problem solving thought process with project management. The key takeaway was DMAIC can be more effectively executed using “measure & plan” phase. Now let’s compare and contrast agile/scrum with lean/kaizen. While agile is primarily used in software development, there are many valid comparisons. By making this comparison, those familiar with kaizen will improve their understanding of agile and vice-versa. Also we’ll cover key success factors that are applicable to both. Previous articles have covered a proposed waterfall product development phase/gate process. 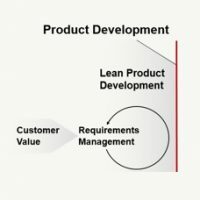 This article will compare and contrast waterfall with Agile product development, especially with respect to the front-end of the process. In this article, we’ll compare and contrast the definition of a requirement, with a ‘story’, which is used in agile/scrum. Both requirements and stories establish a clear understanding of customer needs in the context of desired functionality. The framework for each is somewhat different, however. All projects or programs have a formal or informal resource management process, with the goal of completing projects on time, within budget and with good project quality. In a previous article we compared and contrasted the role & responsibility for a scrum master vs. project manager/core team leader (CTL/PM). In this article, we’ll take a closer look at the scrum product owner role and compare it with the product development team’s “opportunity champion”. In a previous article, we explored agile product development with a focus on early product validation. 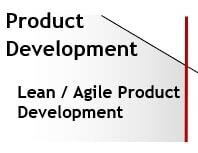 There are additional key enablers from agile/scrum that can be borrowed and applied to any product development process, however. In this article, we’ll compare and contrast the role & responsibility for scrum masters vs. project managers/core team leaders.